Escape from Winter to exotic Martinique: only €356! French airline Corsair now offers cheap flights to exotic Martinique which is perfect place for your Winter escape into warm paradise of beautiful nature, jungle, diving and the beaches. 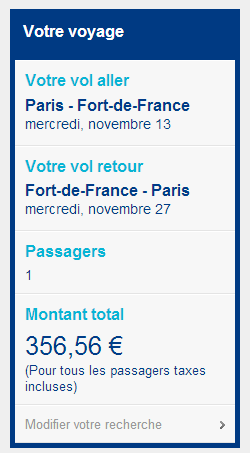 Return flights from Paris to Fort de France in Martinique are available for only €356. Travel dates are in November and October. Book on Expedia (€372) directly via Corsair. Martinique offers all kinds of accommodation but the prices are quite high. You can also check private apartments for good deals. Use our search engine to compare all major booking sites at once and book for the best rates online! Martinique lacks good public transport so it’s very recommended to rent a car. It is also a good idea to explore a bit more than just Fort-de-France on a trip and the easiest way to do this is to rent a car and go on a small roadtrip.